Yassmin Abdel-Magied is an engineer, author, broadcaster, and award-winning social advocate. Her powerful TED talk, “What does my headscarf mean to you” has more than 1.8 million views, and she has become an internationally renowned speaker on the topics of unconscious bias and leadership. Through her work and thought-provoking talks, Yassmin is on a mission to make diversity the norm across the world through empowerment, empathy, and the power of stories. At the age of 16, Yassmin founded Youth Without Borders, a youth-led grassroots organisation focused on empowering young people to positively change their communities. Driven by her love of Motorsport, she also designed a race car at 19, and graduated valedictorian with first class honours from mechanical engineering. Yassmin then went on to work as one of the few female engineers on oil and gas rigs around Australia, while continuing to advocate for social justice. Yassmin became a lightening rod for Australia’s discussions on race, gender, and faith after an appearance on a panel show went viral, garnering more than 12 million views in less than a week. She was the presenter for the national current affairs show Australia Wide, as well as the host for the ground-breaking documentary The Truth About Racism, and co-host of the podcast “Motor Mouth”, on becoming a Formula 1 driver. 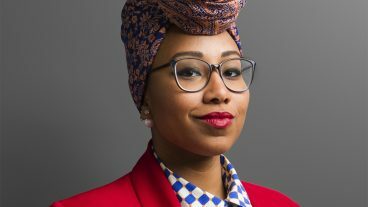 A bestselling author, Yasminn published her debut memoir, Yassmin’s Story at the age of 24 and her writing has appeared in publications worldwide, including The Guardian, The New York Times, and The Australian Financial Review. She is also the author of the children’s fiction book You Must Be Layla. What assumptions do you have when you see a woman wearing a headscarf? Well, think again. In this funny, honest, and empathetic talk, Yassmin Abdel-Magied challenges us to look beyond our initial perceptions and to open doors to new ways of supporting others. Yassmin will explore the concepts of unconscious bias and structural marginalization within societies and workplaces. 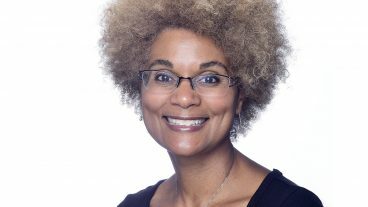 In a lighthearted but incisive manner, she will illustrate how discrimination operates, what ways it ostracizes members of the group and what we as individuals and organisations can do about it. At 16, Yassmin Abdel-Magied had founded Youth Without Borders, a non-for-profit empowering young people to realize their full potential. At 19, Yassmin was running a racing car team, and by 21, she was the first female engineer in her company’s department in Australia — working as a fly in, fly out field specialist on oil and gas rigs. In this talk, Yassmin uses stories and statistics to explore the ways being outside the norm affects your career, and what individuals and organisations can do about it. How do our mindsets affect our ability to navigate the world around us? Yassmin Abdel-Magied talks about how mindsets, like our gender mindset, can be used to physically re-wire our brains. Individual actions may not change the structural obstacles, but we can control our responses to what happens around us. This is a speech on taking back control and realizing the power of the stories we tell ourselves. Jam-packed with heart and humour You Must Be Layla by Yassmin Abdel-Magied reveals a powerful new voice in children’s writing. Touching on the migrant experience and exploring thought-provoking themes relevant to all teens, this book shows the strength required to be a Queen with a capital ‘Q’. At 21, Yassmin found herself working on a remote Australian oil and gas rig; she was the only woman and certainly the only Sudanese-Egyptian-Australian background Muslim woman. With her hijab quickly christened a ‘tea cosy’ there could not be a more unlikely place on earth for a young Muslim woman to want to be. This is the story of how she got there, where she is going, and how she wants the world to change. We loved Yassmin’s energy and her helpful advice on mentorship, unconscious bias, and tackling diversity and inclusion issues in the workplace. Thank you Yassmin! The first time I saw Yassmin present I was hugely impressed. Speaking to an dominantly white, middle aged male audience from the petroleum industry, Yassmin spoke about inclusiveness and diversity and blew them away…She won over a potentially sceptical audience with personal stories, charm, warmth, humour, and importantly, a gentle provocation that simply gets individuals to consider why we think the way we always have, and do we need to reassess. As Yassmin puts it, being young, female, brown and Muslim, she’s a walking minority and has a good handle on what it takes to feel included. Her talk, and a generous Q and A that followed, generated a buzz of excitement and catalysed many constructive conversations in my organisation. Yassmin added real value to our journey towards a better organisational culture. She makes a difference! An outstanding, inspirational, insightful, connected, topical and learning laden presentation… You are the best keynote we have ever had. Yassmin delivered a keynote address to a group of 400 senior global managers. She maintained the attention of the group by delivering a set of simple and powerful messages in a very personal and compelling way. She has developed a level of insight and maturity well beyond her years. Yassmin is such a natural and gifted presenter – her fierce intelligence, her empathy and her humour made it one of the best stage presentations I’ve ever seen.